ALMATY -- "The Road to Mother", a Kazakh-made feature film set in Central Asia at the start of the Soviet era, is set to be distributed in the United States later this year. The film tells the story of a son, Ilyas Yersainov, who is separated from his mother, Mariam, at childhood during Soviet rule in the 1920s. As he and his mother attempt to find each other, they survive the traumas that wracked Kazakhstan, including the famine of 1932-1933 that left almost 2 million Kazakhs dead and the carnage of World War II. The biggest scenes of the movie involved a recreation of the Battle of the Dnieper. Soviet troops march in this screenshot taken from a trailer for the film. US distributor World Wide Motion Pictures Corporation (WWMPC) acquired the rights to distribute the film, Almaty-based Kazakhfilm announced July 24. WWMPC "is very proud to be releasing a meaningful multigenerational drama that also carries with it the high prestige of being Kazakhstan's official foreign language entry for the Oscars", WWMPC said on its website. "Families throughout the United States, especially mothers, will surely embrace this heartwarming story," said WWMPC CEO Paul Hancock. The Ministry of Culture and Sport commissioned Kazakh director Akan Satayev to make "The Road to Mother". The film was released in Kazakhstan in September 2016, Kazakhfilm spokeswoman Ainur Isayeva told Caravanserai. It is expected to screen this November in five US cities, including Los Angeles and New York. It could be shown in more cities based on demand, she said. In June 2017, "The Road to Mother" won "Best Feature Film" at the 5th New York Eurasian Film Festival. The picture made it onto the long list for the Oscars 2018 but did not become a finalist, she said. The film's executive producer Aliya Nazarbayeva received the "Eurasian Women in Cinema Award" and actress Altynai Nogerbek won "Best Actress" at the festival, Isayeva said. Last year, the film was shown in France, Romania, Russia, Belarus, Spain, Italy, Finland, Greece and Croatia. This year, some audiences have viewed it in Singapore, Hong Kong and Washington, DC. "The Road to Mother" is not the only Kazakh film to have attracted the attention of American distributors. "Nomad: the Warrior" and "The Liquidator" were shown in the United States in 2007 and 2011, respectively. "At first glance, Mariam is a very submissive woman," Nogerbek, who played the film's female protagonist, told Caravanserai. That impression, though, does not hold up as Mariam proves to be a survivor. During the famine in Kazakhstan, even after losing her husband and being separated from her son, she maintains great strength and even adopts an orphan girl. The film is "very dear" to director Akan Satayev, whose parents were actors in the Karaganda Theatre, Nogerbek said. "In the Soviet Union, actors traditionally spent three months at a time touring the provinces. In one village, Akan's parents saw an old lady in a black beshpet [a traditional Kazakh garment] sitting under a tree." They heard from other villagers that she had spent many years waiting for her son, who had gone missing in combat in World War II. Satayev was inspired to turn her story into a screenplay, Nogerbek said. Adil Akhmetov, who played Ilyas, also recounted his experiences during the filming. One memorable incident was when Ilyas and his girlfriend, Umit, meet at a railway station before he goes to the front. The extras -- all local residents -- could not contain themselves, he said. "They began applauding as if they were watching the film ... rather than acting in it," he told Caravanserai. The cast and crew took six months to shoot the film, travelling to locations in Kazakhstan, Azerbaijan and Belarus, he said. "There was great emotion," he said of filming the Battle of the Dnieper. "We experienced a bit of the hardship our grandfathers had in fighting the war." "During the shooting, I felt a responsibility to my country the entire time because Ilyas is the image of the Kazakh people," Akhmetov said. Hurray! Hurray! I am delighted with our film! Not because I played one of the leading roles, but because I am proud of this film as a Kazakh citizen and ordinary Kazakh woman!!! We should not forget our history, and need to tell the younger generation about it! We are a Great Nation!!!! So far, this is the only Kazakh film I like. 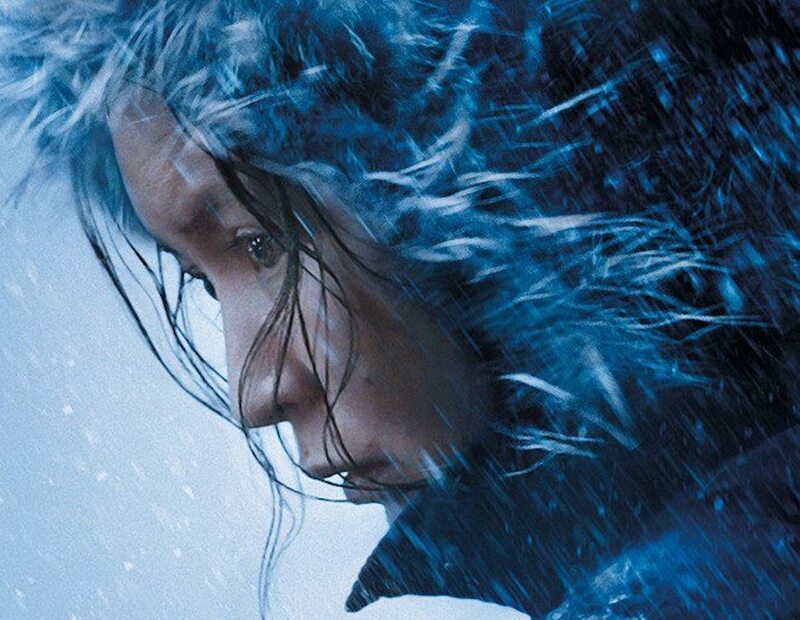 The film tells the story of a Kyrgyz woman working illegally in Moscow, who abandons her child at first but then does everything she can to find him. 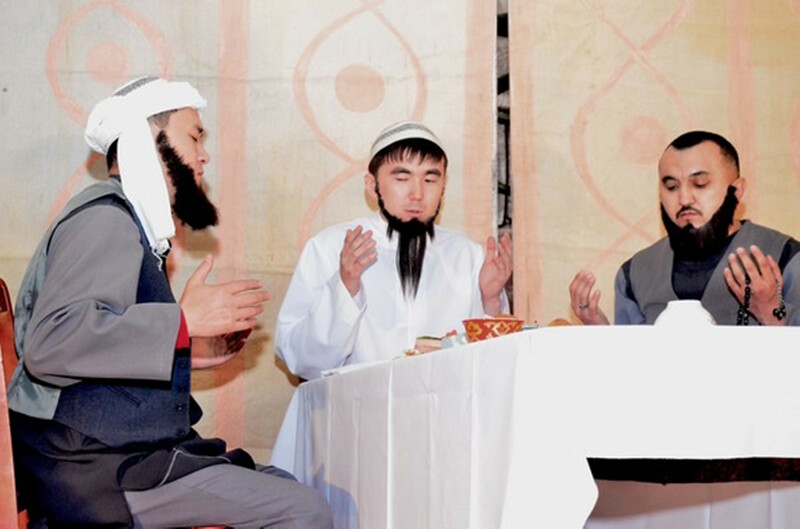 Kazakhstani actors perform across the country to tell the tragic stories of extremism and warn citizens about this threat.